The Folsom Historic District is proud to present the 2018 Historic District Ice Rink located in the plaza around the picturesque railroad turntable. 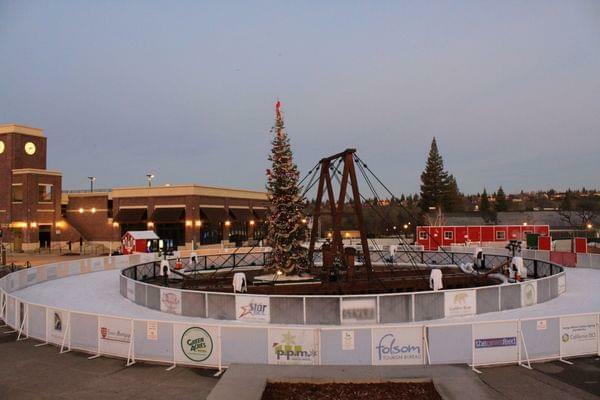 The ice rink will be open for 70+ fun-filled days and serves as a great opportunity to be involved with the Folsom Community. With a projected 25,000 + skaters plus 15,000 spectators this beautiful ice rink will bring enjoyment and wonderful memories to all visitors.